A Truth – Life doesn’t always turn out the way we want it to. We stumble often; face roadblocks, disappointments, and even outright failures at various steps. There are times when even our most painstaking efforts don’t amount to much. Yet, it is important to remember that even amidst all its bends and curves, life doesn’t stop. Even the biggest of failures are turning points waiting to happen. I faced one such disappointment in my life when I failed to score according to my expectations in my class 12 board exams. I knew I had given it my best, but the results told an entirely different story. When I saw them, it felt like someone had punched me in the gut, and piece by piece, my entire world fell apart in front of my eyes. I am not telling you this story to describe what happened to me when I faced such disappointing results, but what came after it. It took time, but I got over it. While my results did play a part in determining where I ended up going to college, but that was it. Now, 7 years after my board exam results, my educational details are just a simple column on my CV (where my marks are not even mentioned). 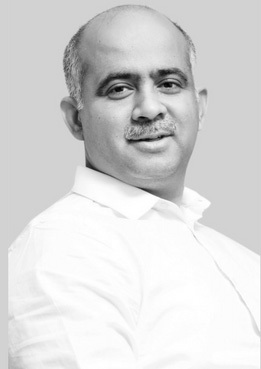 So, what I am trying to say is, if life has dealt you a similar blow, and you find yourself holding a disappointing board marksheet, it is not the end of your career, or your world. There are simple and doable steps that can help you turn this situation around and get your career back on track. Let’s look at them. When faced with an adverse circumstance such as this, the first and foremost thing to do is to breathe. Yes, the situation is less than favourable, and there would be a hundred thoughts making whirlwinds in your mind. Yet, thinking about them is not going to do anything but bring negativity into your life. Doing something about your situation will. Once your breathing has calmed you down a bit, take a long hard look at what got you here in the first place. Ask yourself – Why did I score low? Was it because you lacked the aptitude for the subjects, or were there gaps in your preparation on account of lack of motivation to study? Evaluate the reason behind your poor scores, be it poor preparation strategy, lack of motivation or unforeseen circumstances. Once you know where exactly things went wrong, you would be better prepared to tackle your situation and plan your options ahead. Not all courses require you to have scored a high percentage. Unlike merit-based courses, entrance exam-based courses consider your percentage only as an eligibility criteria, and not one for selection. Thus, even if you have scored a decent percentage that matches the eligibility criteria (usually in the range of 55 to 75%), you stand for a second chance at a good college if you ace the entrance exam. Admissions to courses in Engineering, Design, Management, Architecture, Journalism/Mass Communication, Hotel Management, Chartered Accountancy, Law, and the like, are all based on entrance exams, and thus, don’t pay much heed to your board marks. There are many specific courses in Delhi University, such as B.A (Hons.) Humanities and Social Sciences; B.A (Hons.) Business Economics; B.Tech Information Technology and Mathematical Innovations, etc. for which the university holds direct entrance examinations. The same is true for many other reputed universities. A great advantage of entrance exams is that they are more aptitude-based, and generally do not test subjective knowledge. So, if subjective-knowledge had been your major shortcoming in board exams, this is a good way out. Remember: If you do decide to go this route, give it your all. This might be your best chance to salvage your year and get into a reputed college, so put in your best efforts. Delhi University and Mumbai University are alluring brand names in themselves. But are they the only means to a successful career? Definitely not. There are many other great institutions that are often overlooked due to unawareness or misconceptions about them. However, their teaching faculty, placements, courses, and exposure are often as good or close to the famous university names we have become so used to. And the best part about them? Their cut-offs don’t run as high as they do for the more popular ones. Cut-offs for many universities in India don’t touch the lofty heights of Delhi University, and fall in a more realistic, achievable range. Some of these names include: Savitribai Phule Pune University, Pune; Ambedkar University, New Delhi; Panjab University, Chandigarh; Christ University, Bangalore; Symbiosis International University, Pune; University of Calcutta; Jamia Milia Islamia, New Delhi, etc. 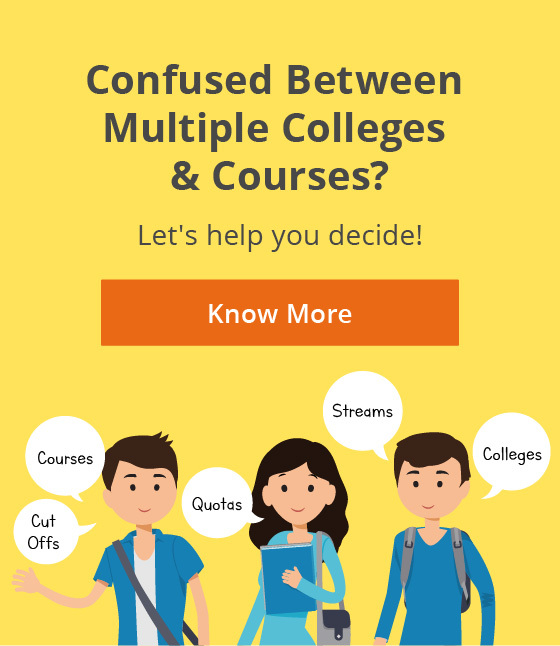 Thus, widening your purview when creating your target college list can help you land the course of your choice, in the next best thing to your dream college. Another possible route to explore is to try for tier-2 or tier-3 colleges in the more popular universities. While the cut-offs always run high for the top colleges, a few courses in the less-reputed colleges do have lower cut-offs. The advantage here would be that you’ll be able to grab the university tag despite having low scores. Remember: Don’t be afraid to include colleges outside of your home city, as you would just end up limiting your options. This is the time for you to go out into the world and explore. It was primarily because of an inadequate strategy, and you can do better if only you got another shot at it? You had slacked off during your preparation, but have now got your wake up call? If any of these were your biggest failings, then appearing for improvement papers is a reasonable option. Improvement papers are basically like giving your board exams all over again, only in the next academic year. You will receive an admit card by CBSE, but you’ll appear as a private candidate instead of being affiliated to a school. Now, this solution will be effective only if you re-appear for all 5 or 6 of your subjects. Only by doing this will you be reissued a fresh marksheet by CBSE, with your revised scores written on them. This fresh marksheet will be no different from your regular marksheet, so universities and your later recruiters will be none the wiser. For more information, see the CBSE guidelines for improvement exams. When preparing for the improvement exam, you may take the entire year to prepare or just a few months before the exam, depending on your level of preparation. 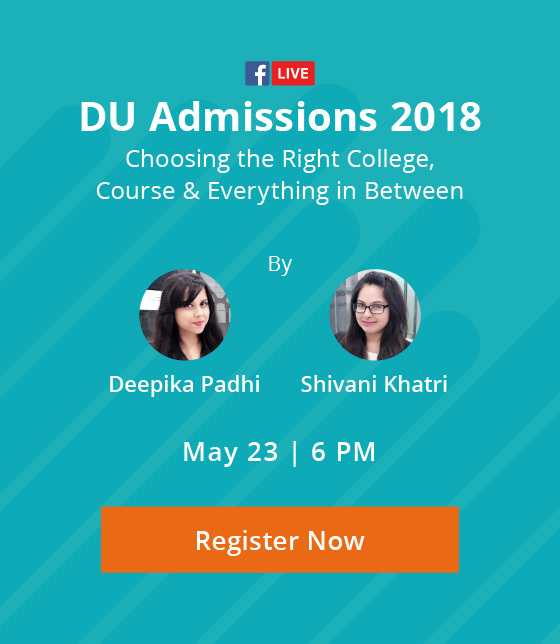 Another thing you would have to decide is whether you wish to take admission in a college alongside to avoid wasting your entire year (recommended option) or take a drop year to prepare. Remember: This solution is not ideal in case you lack the aptitude for your subjects, and struggled hard to score in the subjects the first time around. Chances are you are not going to be able to perform significantly better even if you reappear. There are two ways to look at your current situation – 1. Life has dealt you with a blow and you have to save yourself the best way you can 2. Life has given you the perfect chance to explore previously untested grounds. The second way of looking at it is much better, I would say. Despite everything, you have also been given a chance (or a nudge) to look out for fields and careers you wouldn’t have dared or considered to explore before. This is an opportunity to explore new-age or skill-based careers, ones that don’t really require a formal degree and are more talent-based. Why not give a chance to your entrepreneurial ideas? Why not explore your passion for clicking pictures of wildlife? Why not test your ability to weave a story by setting up your own blog? All of these and more careers such as graphic design, ethical hacking, fashion styling/image consulting, content writing, blogging, social media management, app development, film-making, etc. are highly lucrative, upcoming careers that don’t pay a heed to how much marks you have scored in class 12th. These can be great options if you are talented at something, are innovative/creative, and most importantly, do not wish to hold a conventional 9-to-5 job. To explore these options, first, start researching on them to find out more about what options lie out there. In the process, you might even find something piquing your interest, a field you previously didn’t know about. The Mindler Career Library can serve as a great starting point. Whichever field you choose, you would need to start focusing on skill-building. Take up certification courses, internships, join clubs, learn more about the field, do whatever you can to acquire the necessary skills to succeed in your chosen field. With such a strong and excellent profile, your low scores are going to fade in comparison. If the rest of the routes do not work out and you find yourself wanting to take admission in a college this year itself, no matter what, then you can consider private universities too. Most private universities are willing to give admission to low-scoring students too, and thus getting into them can be your last resort. Before you take the plunge, however, do evaluate the institution in question carefully. Check their degree-authenticity (is it UGC and AICTE approved or not), course curriculum, faculty, and most importantly, placements. If possible, spend some time on LinkedIn to check which kind of companies alumni from the university have ended up in, to get a holistic picture. If you decide to go this way, be absolutely clear about the course you wish to pursue, and your long-term career goals. By having such clarity, you can ensure that you utilise your time at the university effectively by taking all possible steps to move closer to your goals. Build your profile by taking up internships, pursuing short-term courses and certifications, joining socially-conscious organizations, being a part of youth leadership programs, writing research papers, and other activities relevant to your field. Work so hard that you crack a brilliant college for your post-graduation. Once you do, your under-graduation isn’t going to matter a lot. From then on, the stars from your post-graduation tag will be enough to make your CV shine. As I emphasized before, your marksheet doesn’t determine your worth, nor can low marks on a single exam set the course of your entire future. Once you enter professional life, your marks and college tag start carrying less and less weight. Ultimately, your skills, talents and knowledge will speak greater volumes about your calibre. So, while life has dealt you a blow, try not to let it affect you too much. Dust yourself off, and get back in the game! Are you facing a similar situation right now? Share your experience with us in the comments. Unsure about the right next step? Previous ArticleMass Communication Vs. Journalism: Are they the Same or Different?